The Justice Department recently announced indictments against two Chinese nationals manufacturing and distributing fentanyl and other opiate substances in the US. This is the first time the US has indicted major Chinese fentanyl traffickers. It’s a great first step, but the DEA is playing catch-up against a problem that led to more US deaths in 2016 than during the entire Vietnam War. While these were the first US indictments brought against major Chinese suppliers of fentanyl, the drug remains widely available for sale on websites operated by Chinese suppliers. 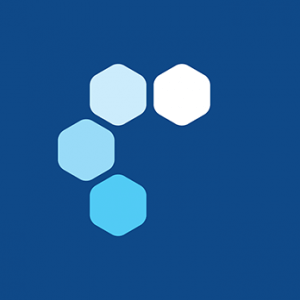 The U.S.-China Economic and Security Review Commission stated that China was the primary source of fentanyl in the US, which accords with LegitScript’s observations. 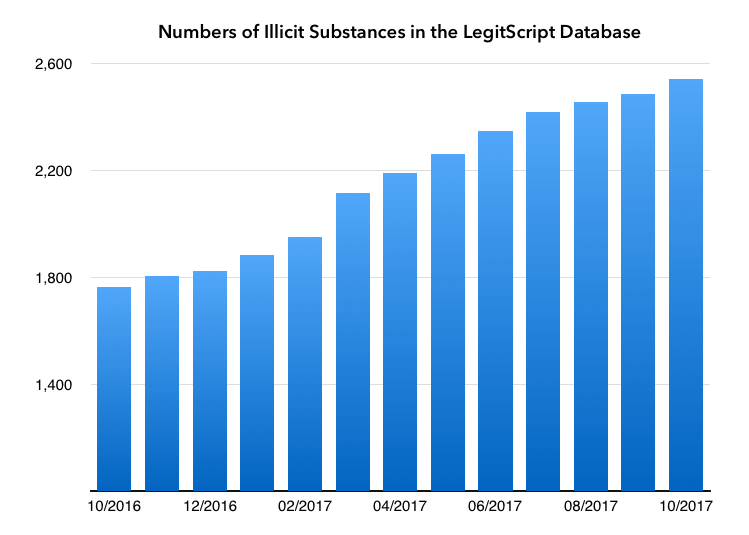 Every day, LegitScript monitors websites selling fentanyl online. 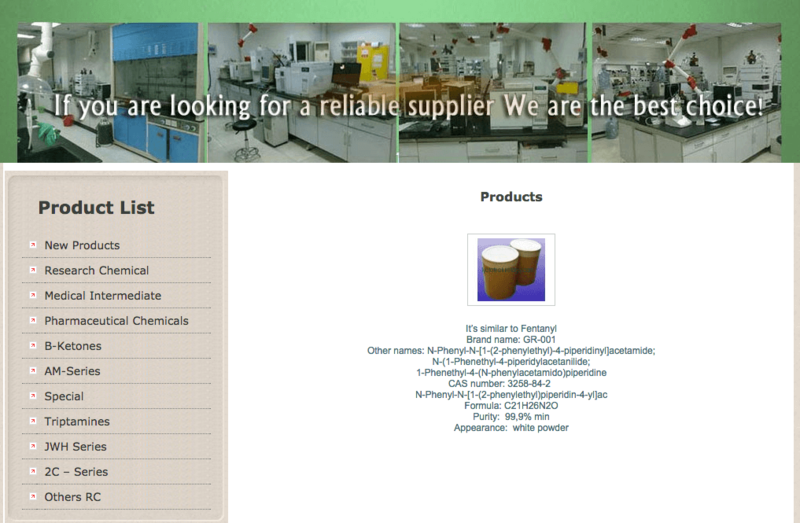 If you were to come across one of these websites, you might see a raw powder offered for sale. They are often described as “research chemicals.” Usually, the websites don’t list a price or have a shopping cart. Instead, the sites simply publish their contact information. Transactions are then completed by email or phone. Despite many sellers’ claims that the products are not for human use, it’s easy to order illegal drugs from these websites with little subterfuge. 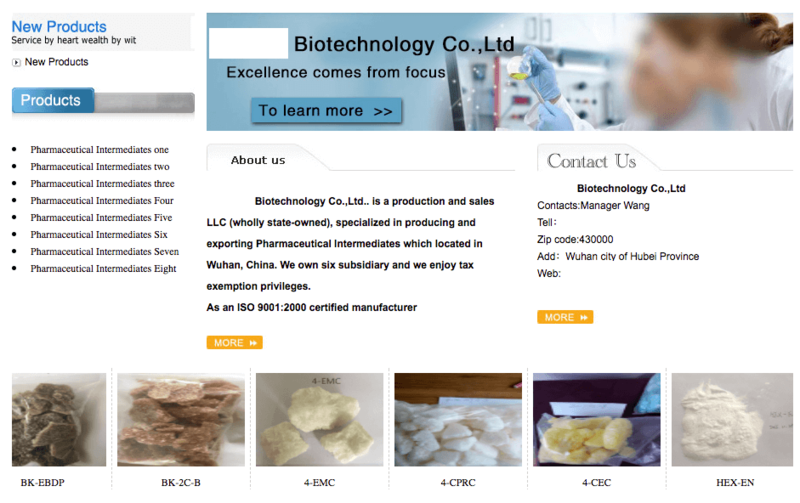 Typically, LegitScript simply sends one of these Chinese sellers an email asking about a substance for personal use. In one case, we asked for an elephant tranquilizer, carfentanil, and told the seller it was needed to relieve back pain. The seller offered to provide us 5mg for $100 and was willing to ship to the US. Surprisingly, many of these manufacturers are not amateur underground labs. Instead, a lot of them are properly licensed chemical or pharmaceutical companies in China. These types of manufacturers are often considered high-tech industries and even receive government support, including tax breaks. Chinese regulatory agencies have made efforts to control the problem. In 2015, China scheduled 116 synthetic chemicals, six of which are fentanyl analogs. In March of this year, it announced scheduling controls over carfentanil, furanyl fentanyl, valeryl fentanyl, and acryl fentanyl. In July, four more substances, such as U-4700, were banned. But is it enough? Unfortunately, illicit manufacturers are able to produce new substances faster than the government can ban them. The good news is LegitScript has been continuously monitoring and adding these new substances to our database. On average, we find more than 60 new designer drugs each month, adding to the world’s largest, most comprehensive database of designer drugs, dietary supplements, pharmaceuticals, and other healthcare products. After we list these substances in our database, they generally cannot be advertised on Google, Bing, Amazon, Facebook or other ad platforms operated by our partners. With regard to the two Chinese fentanyl traffickers, the Justice Department did not identify whether they were in custody. When asked about the case, the Chinese Foreign Ministry spokesperson said he was not aware of the details but re-emphasized China’s commitment to combat such crimes. Meanwhile, the carfentanil seller we spoke with urged us to place our order: “We have got your address and can send out the parcel to you at once after your payment.” This underscores a vital question — whether the US and China are actively monitoring these sellers’ websites and acting quickly to shut the sales down (as opposed to waiting months to build a case, which is oftentimes appropriate but can allow ongoing illicit activity that results in more deaths). In any case: the battle continues, and until the illicit sale of these chemicals over the internet and dark web are disrupted, Vietnam War-levels of annual deaths from opioid use will continue.